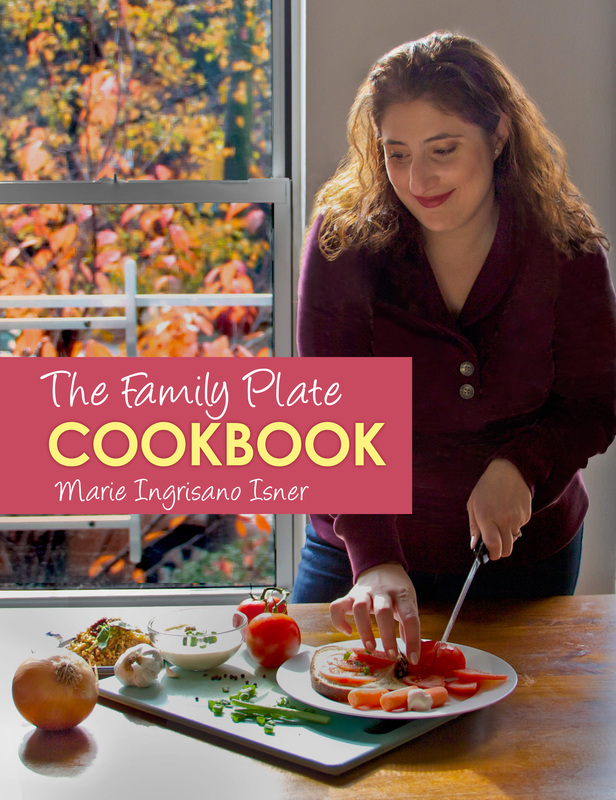 THE FAMILY PLATE COOKBOOK — AVAILABLE NOW! I am so excited to announce that my cookbook is published and ready for purchase on Amazon and CreateSpace. This was a seedling of an idea that came to me in the summer 2013 and I had a wonderful time putting it together for you. The photographs really bring the recipes to life and for that, I have to thank my photographers Janet Feldman and Scotto Kim. Janet also put the book together as my editor and designer and she added so many wonderful ideas and concepts to the layout of the book. I am forever grateful! There are recipes for some of my favorites like Mushroom Barley Soup, Middle Eastern Meatballs, Israeli Salad, White Bean Dip and many more!